In what will come across as a really surprising development, a Santa Claus has collapsed and died during a Children’s School Christmas party. 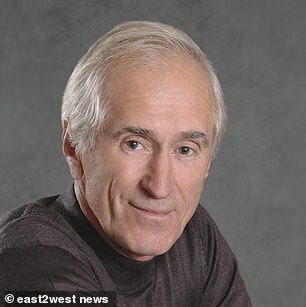 Actor Valery Titenko, 67, had complained of chest pains but wanted to perform so as not to let down the children A committed Father Christmas performer has collapsed and died during seasonal festivities at a kindergarten in Siberia. 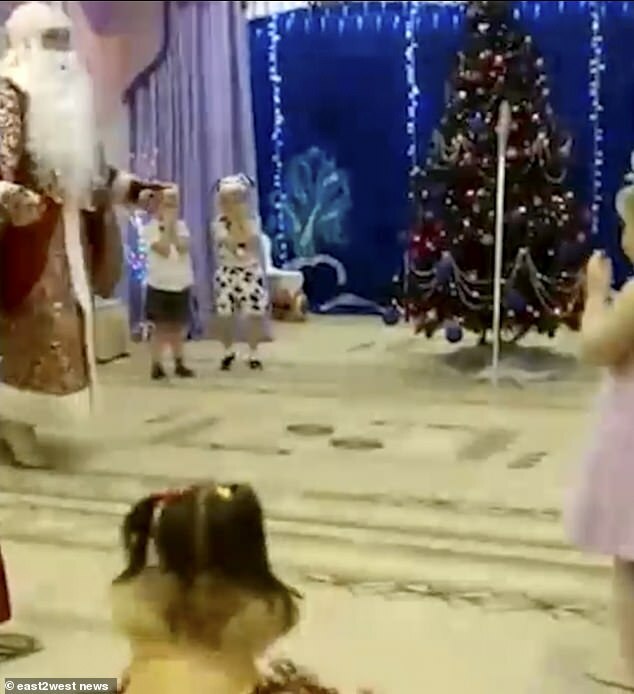 A video shows how the Russian Santa was energetically performing with excited young children before he suddenly stood still and fell backwards. 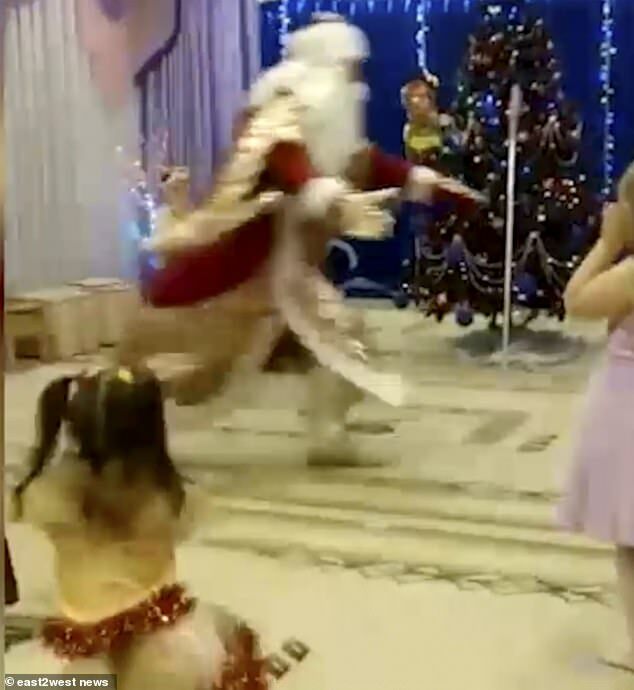 Valery Titenko, 67, dressed as Ded Moroz – or Grandfather Frost – rushes playfully about on stage playing with the children in the Siberian Christmas spactacle Some of the youngsters can be seen thinking perhaps his collapse was all part of the game, which involved them touching their noses, and some rushed towards the fallen figure. But the actor playing white-bearded Ded Moroz, or Grandfather Frost, as he is known in Russia, had collapsed next to the decorated Christmas tree with a heart attack. Another cast member, a woman dressed as a clown, is seen rushing behind the tree to help the stricken Santa. 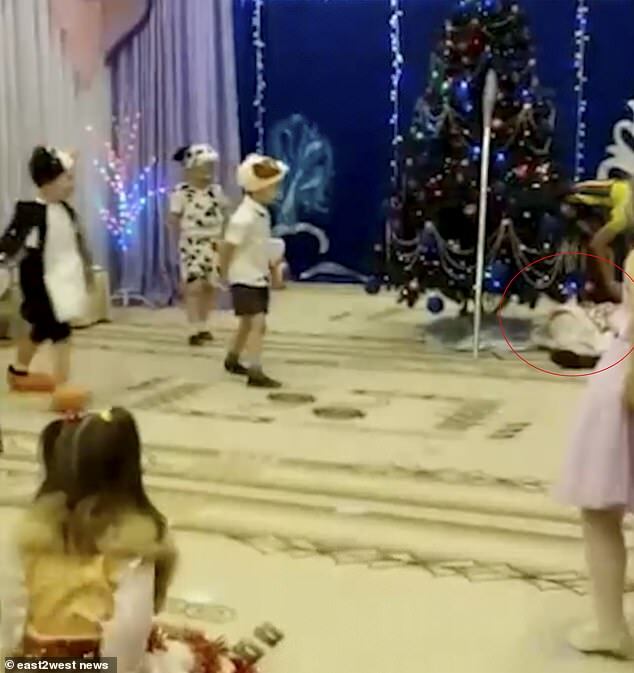 The video shows him dashing about from one side of the space to the other, to the children’s delight As kindergarten staff confronted the young students, he was rushed to hospital in Kemerovo but died on the way, said a medical source. The man named as Valery Titenko, 67, a well-known professional actor in the city, 2,230 miles east of Moscow. It was revealed today that he had not been feeling well, and had complained of chest pains, but did not want to let the children down so went in to work to perform for them. Just before the video stops, Mr Titenko can be seen lying prostrate on the floor following his heart attack. He was rushed to hospital but died in the ambulance A spokesman at the Musical Theatre of Kuzbass where he was a star said: ‘In recent years his health was not ideal.’He had been through complicated heart surgery, but still performed on the stage and had been working at full capacity, not sparing himself.’ He had been given a day off from the theatre but insisted on attending the children’s festive party. ‘The man felt ill in the kindergarten,’ said a medical source.‘He was taken in an ambulance but died on the way to the hospital.’ In Russia by a tradition dating to Soviet times, Santa gives presents to children at midnight on New Year’s Eve. He is usually dressed in red but is also seen sometimes in a blue costume. He does not ride in a sleigh but is usually accompanied by a young female companion called Snegurochka – or snow maiden.